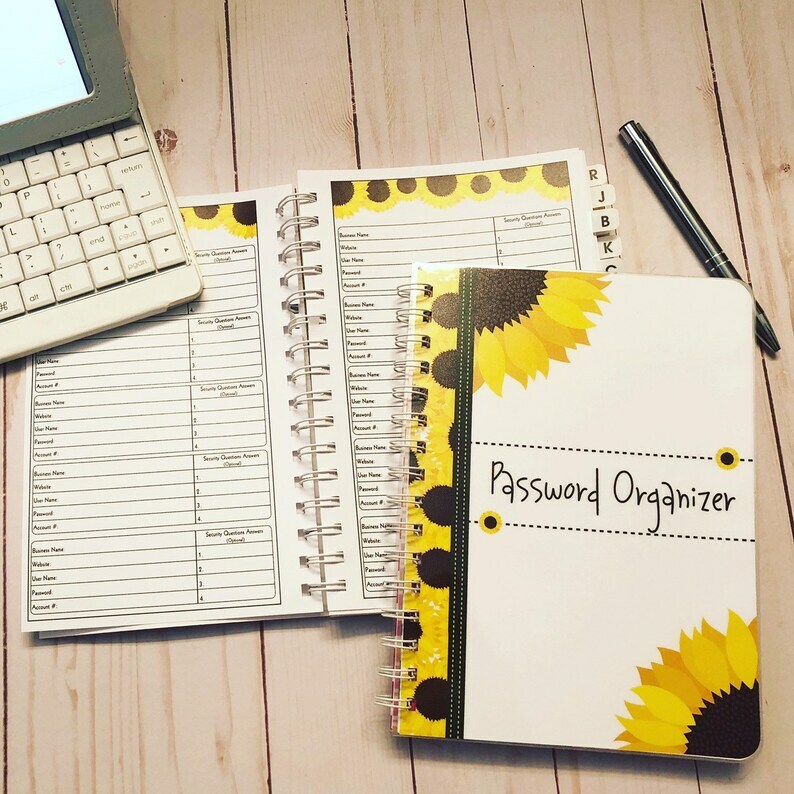 Stay organized with this Internet Password Organizer! It is extremely hard finding a password book with individual letter separations instead of having 3 letters grouped together. When it arrived, it looked exactly as advertised. It even has areas for security questions and answers, which most password books do not have. I am very happy with the product and highly recommend this password book. I love my password keeper. I needed this! Love it! I bought this as a gift for my sister for Christmas. Thank you!